Looking for offices, industrial space, retail, leisure, investment and development opportunities? Bracketts handle the sale, letting and acquisition of all types of commercial premises including re-development situations and sites. Currently showing 46 Offices in all areas covered. Description We are instructed to invite substantial offers in excess of £800,000 subject to contract only and subject to vacant possession upon completion.VAT is not payable. Floor Area 1,051 sq. ft. Description Available to be let as a whole by way of a new effective full repairing and insuring lease on terms to be agreed at £16,000 per annum, payable quarterly in advance. It is understood VAT is not payable on the rent. Description Guide Rent £8,000 p.a.x. Floor Area 1,590 sq ft (148 sq m). Description Rent on application dependent upon lease terms. There is no VAT payable. Description The lease is available by way of assignment. The lease is held for a term of 12 years expiring 14th June 2027 at £9,000 pa payable quarterly in advance. Floor Area Block A Unit 1 Gross internal floor area of 162 sqm or 1,747 sqft. Unit 2 Gross internal floor area of 158 sqm or 1,705 sqft. Block B Gross internal floor area of 137 sqm or 1,475 sqft. 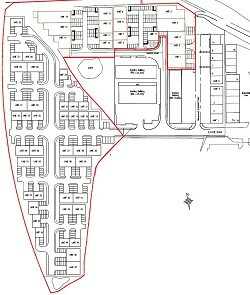 Description TERMS LONG LEASEHOLD Available by way of new 250 year leases at peppercorn ground rent. Guide prices are as follows: Block A Unit 1 £325,000 Block A Unit 2 £325,000 Block B £275,000 Subject to contract. VAT Will be payable. OCCUPATIONAL LEASES Alternatively, consideration might be given to letting the units by way of new occupational leases for a term of not less than 15 years at the following rents: Block A Unit 1 £25,000 Block A Unit 2 £25,000 Block B £21,000 Rent will be payable quarterly in advance plus VAT. Description £11,000 payable quarterly in advance. Description £40,000 per annum exclusive plus VAT, payable quarterly in advance. Description £60,000 per annum payable quarterly in advance, subject to contract, plus VAT. Floor Area 8,843 sq. ft. /	821.5 sq. m.
Description Offers are invited in excess of £700,000 and the property will be sold subject to the tenancies. Vat not applicable. Description Rent £40,000 payable quarterly in advance plus VAT. Floor Area The unit has a gross internal floor area of approx. 2,220 sq ft (206 sq m). Description £19,900 per annum payable quarterly in advance plus VAT. Or should the units be split, £14.50 per sq. ft per annum payable quarterly in advance plus VAT. Description The unit is available to be let by way of a new effective full repairing and insuring lease for a term by arrangement at £25,000 per annum payable quarterly in advance plus VAT. Description From £99 per desk per month. Rent / Licence fee payable monthly in advance. Rent / Licence Fee includes desk, chair, pedestal, business rates, heating, Wi-Fi, water, power, lighting and service charge. We are advised that the rent will not attract VAT. Floor Area Approx. 1,781 sq. ft. 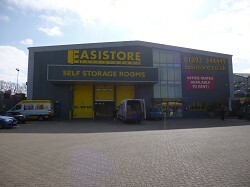 Description £350,000 - £375,000 for the freehold interest in the property, subject to contract. Description £22,000 per annum, payable quarterly in advance plus VAT. Description £16,000 per annum, payable quarterly in advance plus VAT. Description From £145 plus VAT per desk per month. Description Available to be let by way of a new full repairing and insuring lease for a term by arrangement at £20,000 per annum payable quarterly in advance. Please note that the property is not elected for VAT. Update your Email Search Criteria.